Being hurt or injured doesn’t last forever. But when it is happening, it can be quite the cause for anxiety. Getting to and from the hospital can be rather an arduous task when you’re hurt, and you can’t exactly call emergency services since they’re not a taxi company. 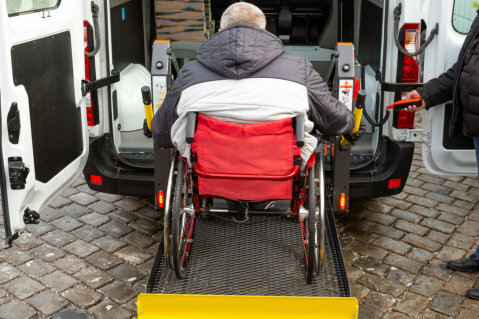 When it comes to moving about while injured, you’re going to want to find Medical Transportation Services. There are a number of reasons as to why you should do so. The chief reason is simple — it’s the path of least resistance. Arranging transportation can be hard on your own. But booking it is much simpler. The whole process becomes smoother and easier to manage once professional help is involved. Non-emergency Transportation in Texas can be tricky. It is possible to find a friend and then put whoever is sick, injured, or otherwise disabled into the back of a car and be optimistic. If something happens in transit, most people are going to be rather helpless. You’re going to want to be sure. It’s not enough to hope for the best. Getting the best is, and that’s exactly what Force EMS offers — the best. Aside from the personnel, the vehicles themselves must be considered. A person with special needs will need special vehicles. Someone’s family sedan or a pickup truck won’t be enough. Not if they have injuries or conditions that make travel difficult for them. A person in such a position isn’t going to be comfortable or secure in an ordinary vehicle, which is why the professionals don’t use ordinary vehicles. They use proper ambulances. Not only do the professionals working for them have medical skills, but they also have the tools to put those skills to good use. Being hurt in some way can be hard. However, seeking out the help of professionals can ease that burden to a certain extent. This entry was posted in Medical Transportation and tagged disabled, emergency services, Transportation Services. Bookmark the permalink.